Cardiff City have made a deadline day signing. Midfielder Victor Camarasa has joined the club from Real Betis. The 24 year old made 24 appearances in La Liga last season as Betis qualified for the Europa League. The club confirmed the deal this lunchtime (with the image below) after speculation over the last day or so. 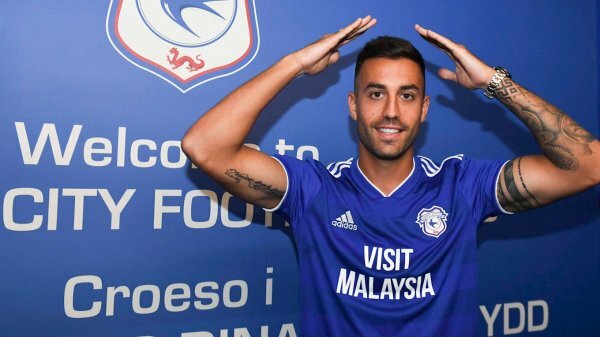 Described as a box to box midfielder Camarasa has four Spanish U21 caps to his name. He adds strength to City's midfield. Talks about signing Harry Arter continues with confilicting media reports saying the deal could be off or now possibly back on again.